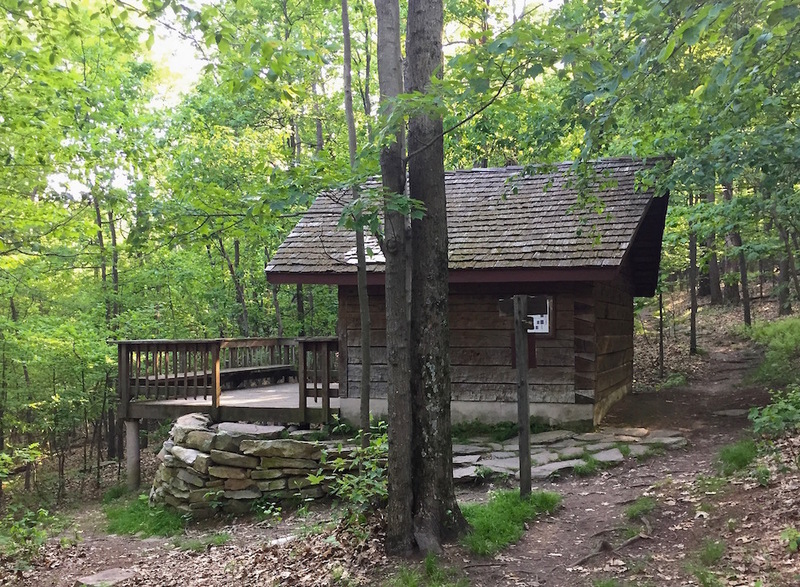 The Dave Lesser Shelter is the last shelter on the Appalachian Trail before northbound hikers reach Harpers Ferry, or the first they encounter south of Harpers Ferry. Maintained by the Potomac Appalachian Trail Club, the shelter is a three-sided structure with a very large front deck. There is also a picnic pavilion with a fire pit and a privy. Half a dozen tent sites are scattered along the slope below the shelter and the freshwater spring is .25 miles down slope. Relatively few thru hikers stop overnight at the Lesser shelter, largely because they are so close to Harpers Ferry, the psychological mid-point of their hike (the real half way point is 80 miles north in Pennsylvania near Pine Grove Furnace). The shelter was built in 1994. Mills Kelly, “Dave Lesser Shelter,” Appalachian Trail Histories, accessed April 23, 2019, http://appalachiantrailhistory.org/items/show/56.